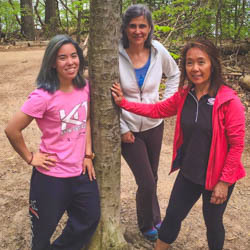 PK Move founders Nancy Lorentz, Jean Lam, and Rosy Noguchi sit down to discuss everything PK Move; how they started, the challenges they face as a non-profit, and the unique relationship they have with their community. The team explains PK Move’s mission, the specific groups they serve, and the programs they run, including their PK Silver seniors program. They unpack the details of the recent study conducted on the PK Silver program before delving into the pop-up playground program, and their current goals and opportunities.